Let me preface this review with I’m going to do my best to avoid any spoilers and my discussion will focus on overall pacing, feeling I got from certain scenes and plot points, and general impressions of the movie. I also want to note that I am a huge Joss Whedon fan which stems from his one season space western masterpiece, Firefly. With that said, let’s get into it. Avengers Assemble! Right off the bat, this movie is bang-bang. The action is top-notch and even in 3D, I didn’t see any blurring of any kind. And the fighting throughout the movie is perfectly necessary as in it drives the story, especially with the character development. Knowing Joss, he is a maestro with character development, even though we have a ton of information about each character from their individual movies already. If DC wants to make their ensemble movies great, they need to find their version of Joss Whedon! I was surprised how funny this movie was. My colleagues mentioned that the comedic dialogue wasn’t “Disney” cheesy at all. I think Marvel has set up their movies to be fully enjoyed. It connects with so many different interests from comedy to action to superheroes to just a good written story. And I think this movie really is a perfectly written story. The Marvel Cinematic Universe changes things from the source material. It’s inevitable because one medium doesn’t translate to other mediums too well. But the choices they’ve made to condense everything in order to make it more concise for the watcher is superb. 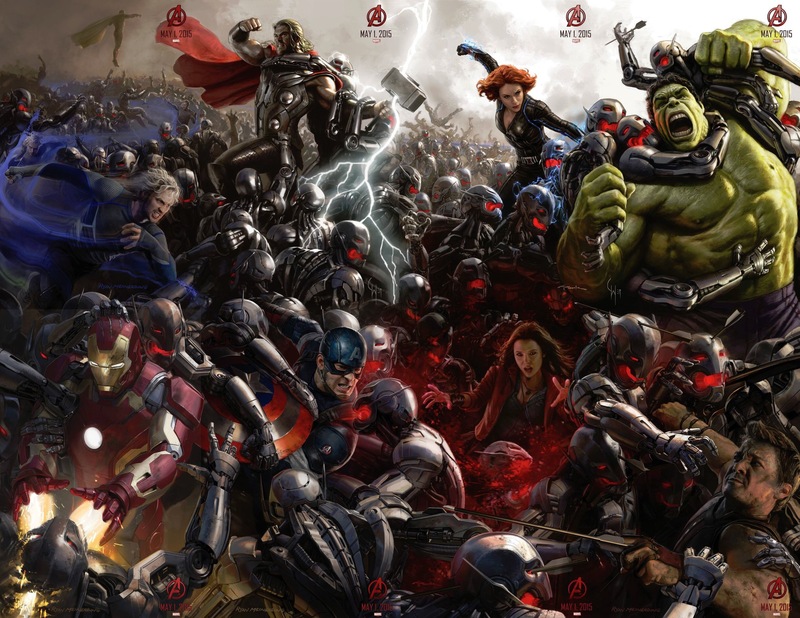 And comparing Avengers 2 from the previous installment, I have to say that it’s better than the first! Yup, I said it! And the reason that I say this is because of how all the pieces fully fit together. Each part of the movie was woven together in such a way that I felt like I was witnessing everything firsthand, like I was in the movie, maybe watching the news reports and civilian social media posts from San Francisco. That’s why Joss Whedon is perfect for this franchise because he thinks about the bigger picture while setting things up through the individual characters. My last point revolves around the fact that we see the team actually saving people! They just don’t fight the bad guys, but they actually are seen protecting people! Crazy, right? And those scenes are what made this movie pass Captain America: Winter Soldier in my mind as my favorite Marvel movie. I know, blasphemy to say as a Cap fanboy but man, this movie hit all the right points and more! And the more part isn’t just the mid-credit scene. You’ll understand the more when you watch the movie! I’ve already seen some negative reviews of the movie and some little “I wish they did this instead” comments. But for me, I have full faith in Joss and his choices. He presented the best Avengers movie as well as drop little nuggets that set up the future installments in the Marvel Cinematic Universe. As a fanboy these little Easter eggs put a smile on my face while watching the movie. I’m sure this isn’t my only viewing of Avengers 2. And this movie isn’t meant just to be seen once. 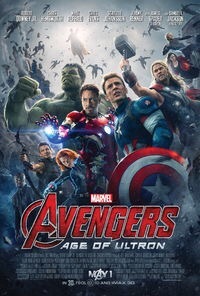 If you have a chance, check it out in IMAX 3D; all the nuances of the large screen and 3D elements add to the experience. Plus, if you’re a Star Wars fan, seeing the teaser trailer that was released at Star Wars Celebration Anaheim on the big screen in 3D made me cheer with the rest of the theater! Do I even have to ask this question? It’s a Marvel movie. It’s a Joss Whedon flick. It has our favorite Avengers back together again. What’s not to love about his movie? Yes, it gets Shortboxed and placed towards the front of the box so I can pull it out to experience over and over again! Why are you still reading this review?